Make catch-up contributions to maximize your savings. 2. What Is the Last Date You Can Make an IRA Contribution? 3. Can Contributions to a SIMPLE IRA Be Made Up to the Time of Filing With Extensions? Contributing to your 401(k) retirement account throughout the year enables it to grow steadily in value. The longer the funds remain in the account, the more time compound interest applies and adds to the value of your account. If the end of the year is approaching and you are wondering if you can squeeze a bit more into your account, don't fret. You usually have until the tax filing deadline to make contributions to the account. Although you can contribute to your 401(k) retirement account through the tax filing deadline for the year, you must open the account prior to December 31st of the filing year. For example, if you plan to contribute to the 2012 filing year, you must make an investment by December 31, 2012 to open the account. It's a good idea to set up the account as soon as possible to ensure enough time to funnel some money into the account to establish it. Most 401(k) plans are employer-sponsored. If you plan to add additional funds into your account beyond what you've contributed throughout the year, it must come from an employee paycheck, in most cases. It's best to analyze your contributions and make adjustments prior to the year's end to increase your contributions. Otherwise, arrange with your payroll department to contribute additionally after the start of the New Year. Find out what your maximum contribution is for the tax year and contribute as much as you can towards that amount. The maximum contributions adjust annually for inflation. For 2012, the maximum contribution is $17,000. For 2013, the contribution limit is $17,500. Investing this over the course of the year enables interest to build. However, payroll deductions should not accumulate beyond this total or you could face a tax penalty. Another reason to contribute to your 401(k) beyond the calendar year is to make catch-up payments. 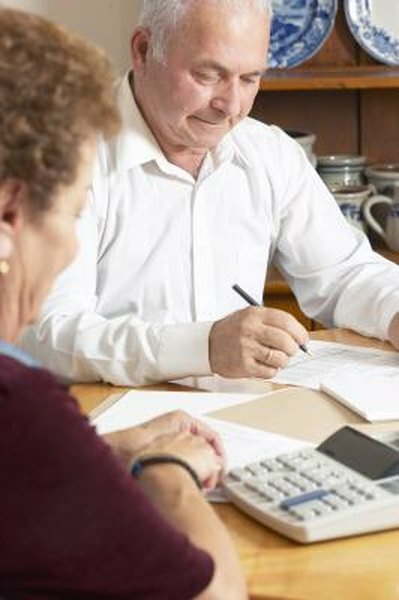 Those 50 or older may contribute an additional $5,500 to retirement accounts for 2012 and 2013. This amount may also adjust with inflation from time to time. The Internal Revenue Service determines both the maximum contribution and catch-up payment allowable amounts on an annual basis. Make catch-up payments prior to the tax filing deadline for the year. Does Changing How Much You Contribute to a Simple IRA Affect Your Tax Rate?